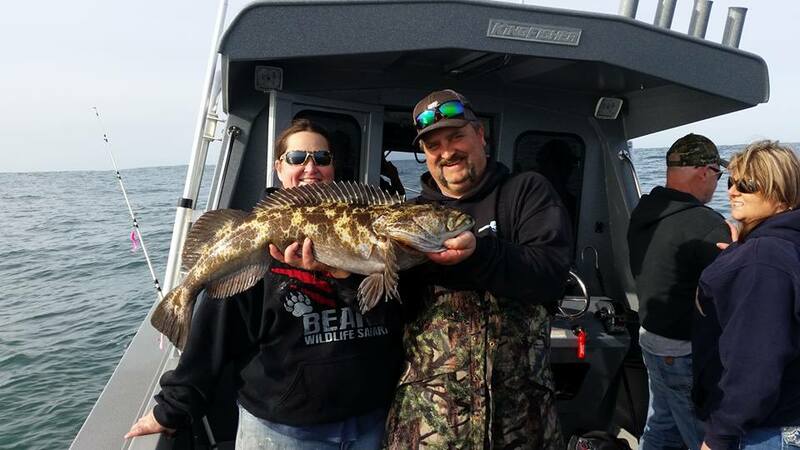 Went to the coast with my better half and the new pup, and decided since my new motor isn’t in my boat, I’d take charter out of Coos Bay … my first charter trip on the oregon coast. 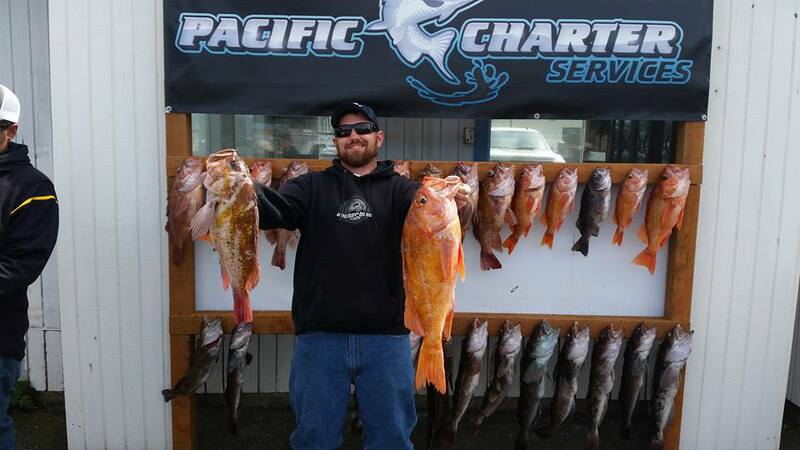 Big thanks to Pacific Charter Services and captain Curt Shoults, the trip exceeded my expectations! Limited 8 people out on Saturday in an hour and half! 16 lings and 56 rockfish. 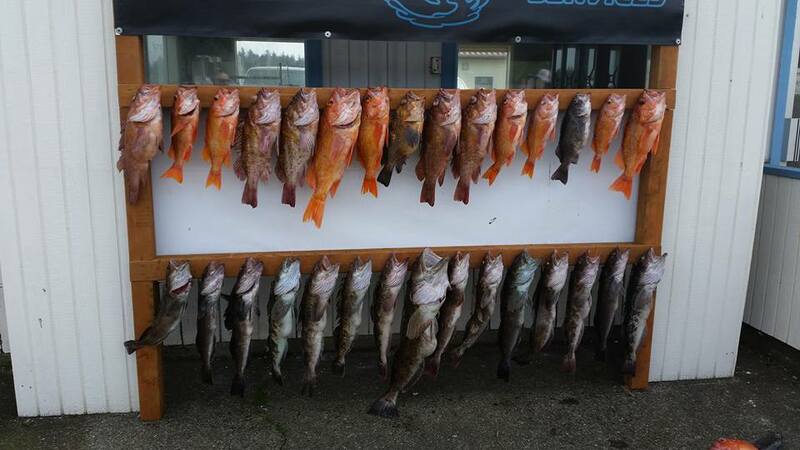 Excellent grade of copper and canary rockfish, some over 6 pounds! Thanks again captain Curt Shoults, I appreciate your willingness to teach other boat captains! Oh, can’t forget, we got 25 jumbo sized crab on the way in too! Trip was worth every penny.